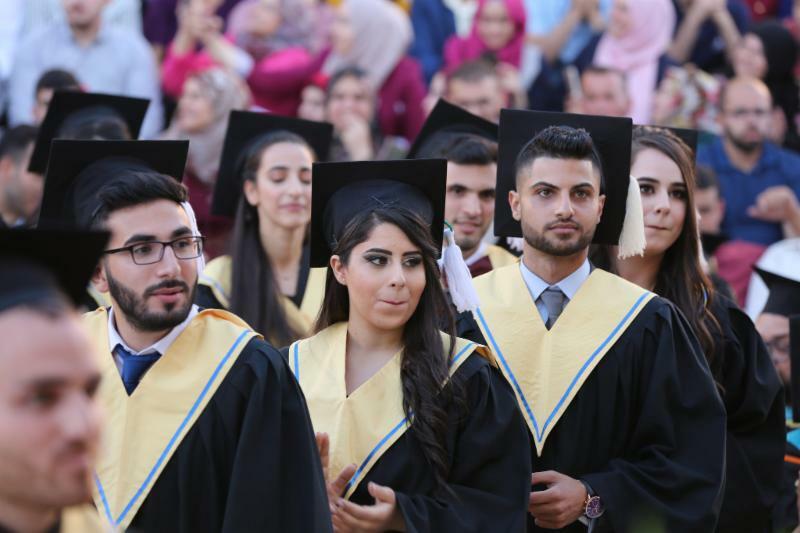 On the 25th and 26th of June, Bethlehem University conferred degrees on 712 graduates at its 42nd graduation ceremony. 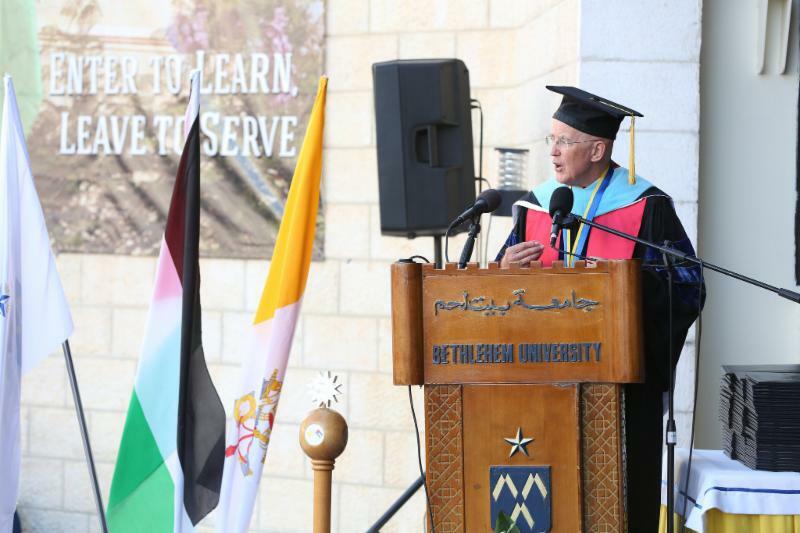 Brother Peter Bray, FSC, Vice Chancellor (President) of Bethlehem University, congratulated the graduates on this great accomplishment. 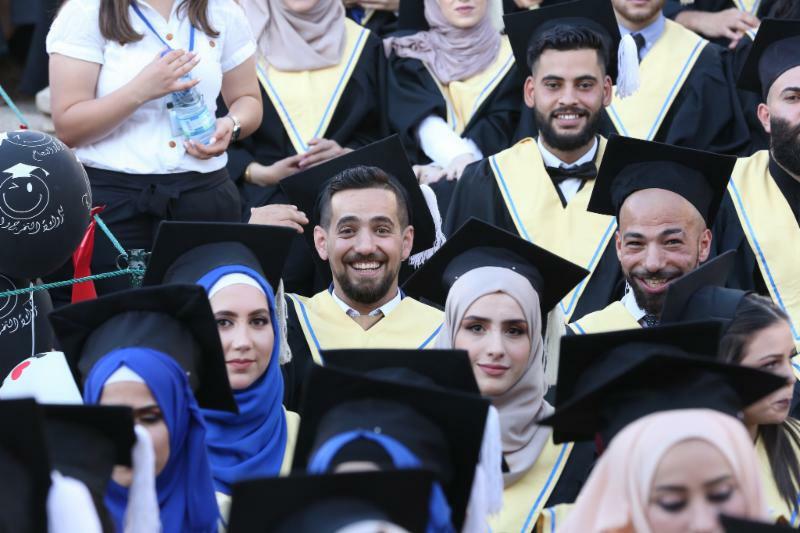 He stated that students at Bethlehem University have been "empowered to grow in their understanding and practice of leadership" and that their future employers would expect the best from them, knowing that they are graduates of Bethlehem University. 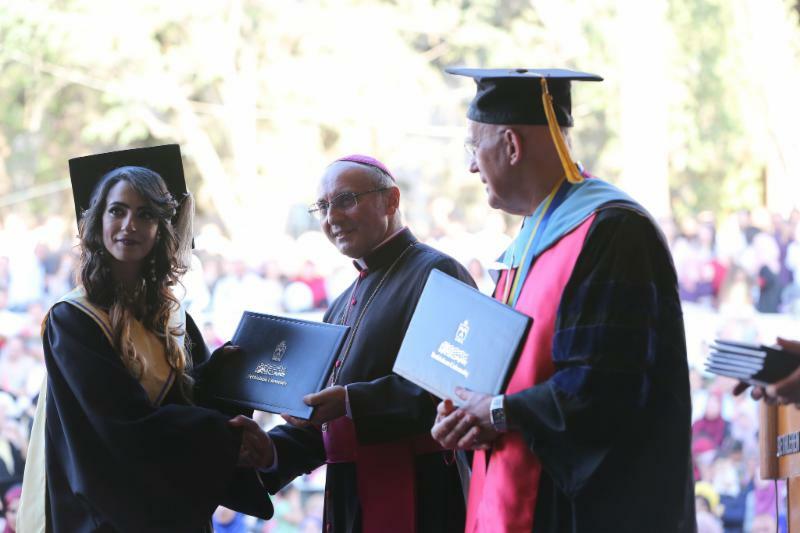 Lara Kasbari, class of 2018 valedictorian, and Claudette Mubarak, first class honors student, gave the graduate speeches on Monday and Tuesday respectively. In her valedictorian speech Lara Kasbari thanked family, friends, and the Brothers themselves, on behalf of the entire graduating class, "We thank you, Brothers, sincerely for all that you do with passion and dedication... Our remarkable journey was cultivated and enriched by the University's faculty and staff who we now consider a second family. 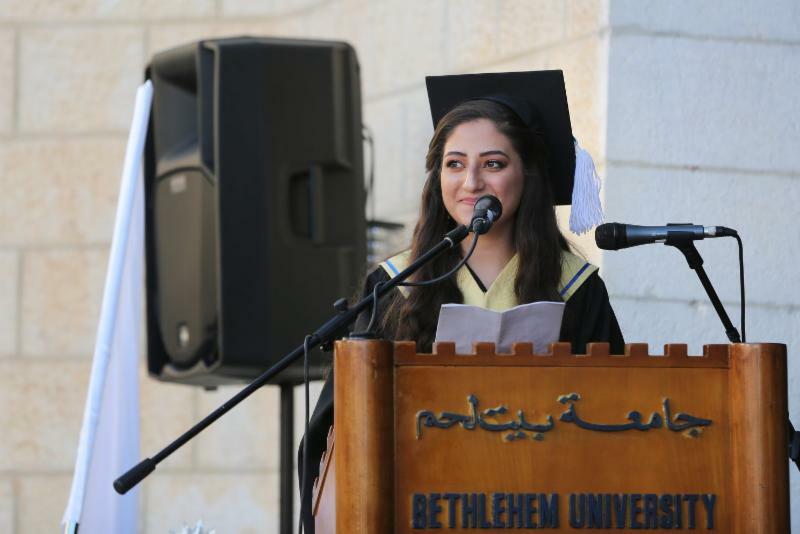 Because Bethlehem University is not just an educational institution, it is a second home for us students that is built on love." 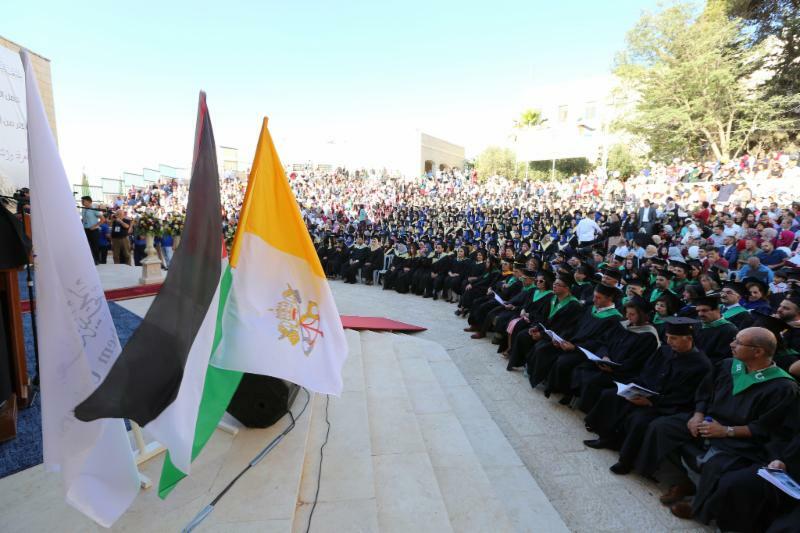 The Most Reverend Leopoldo Girelli, Apostolic Delegate to Jerusalem and Palestine and Chancellor of Bethlehem University, and Brother Peter Bray conferred the degrees and diplomas to the graduates on both days. 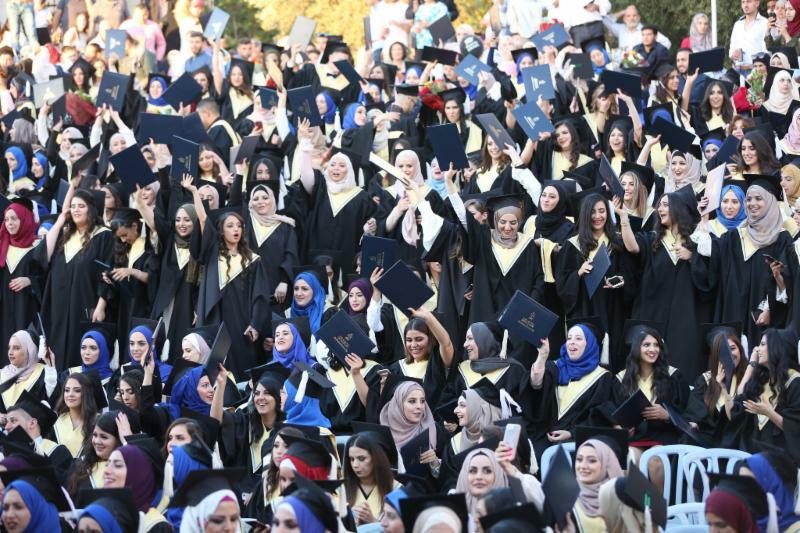 Bethlehem University Foundation is proud to congratulate the new graduating class of Bethlehem University. May they always shine bright for all to see. 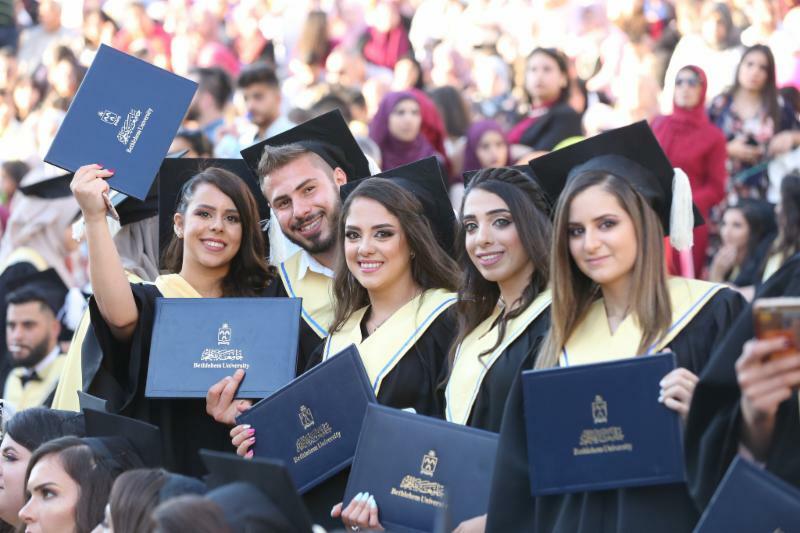 Please click here to find videos of the 42nd Bethlehem University Graduation Ceremony . 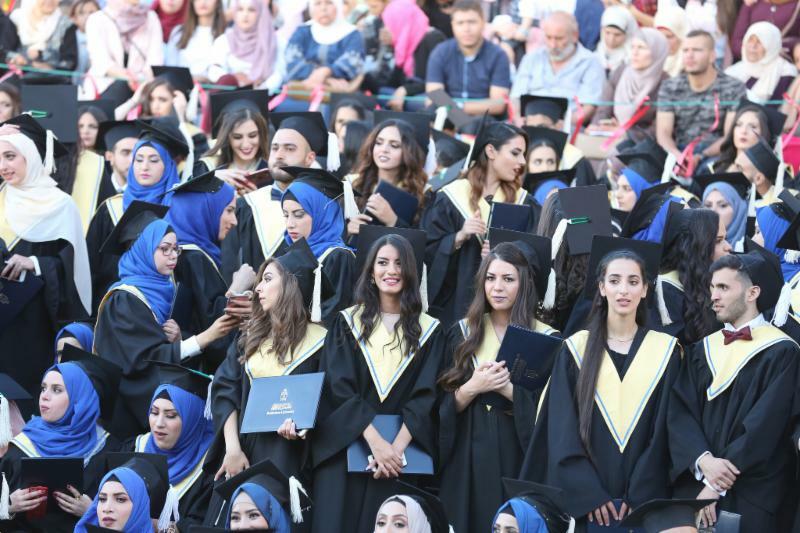 Please click here to view more photos of the graduation .